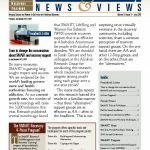 With harmful addiction a serious problem among incarcerated individuals, SMART Recovery meetings have been held in prisons since our very beginnings. We adapted SMART specifically for correctional facilities with the introduction of our InsideOut program in 2002. 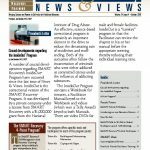 The National Institute on Drug Abuse contributed $1 million in grants to this effort. Today, meetings based on InsideOut are held in hundreds of correctional facilities worldwide. 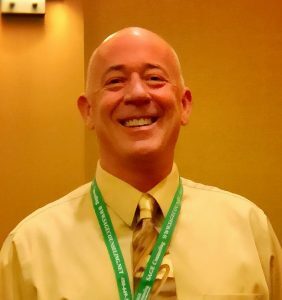 Doug Hanshaw, MS, CAC III, SMART Recovery Court Outreach Committee Member and Regional Coordinator for Colorado, shares his recent experience introducing the InsideOut program. In 2016, the Western Colorado Community Corrections needed someone to facilitate two groups a week and to clinically supervise staff aspiring to become certified addictions counselors. 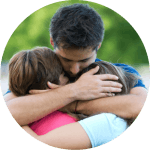 Since my former clinical work had been in an outpatient setting, helping this facility develop a full-blown residential treatment program was a welcome challenge. Plus, I already know this population since many inmates have come through one of our drug courts before being sentenced. It helped that we already have several popular face-to-face SMART meetings, including one facilitated by my former boss – a retired chief probation officer. Knowing the treatment that clients received, I knew something different was called for. I was already familiar with InsideOut® through my work on the SMART Court Outreach Committee. And I was aware of the major research in Australian prisons showing that attending SMART meetings dramatically reduced reoffending rates after inmates are released. InsideOut is a 24-module curriculum, which can be shortened to 12 for shorter-term facilities. It covers SMART’s 4-Point Program® with additional content on thrill-seeking, dealing with depression, criminal thinking errors and thought-rebuilding. We offer it as a semi-open group that people can join at any module – except near the end of the 24-week cycle. At this point, we create a waiting list in order to start a number of folks together on Module 1. Each inmate receives a Participant Workbook. Facilitators learn how to lead meetings from a Facilitator Manual, along with a DVD that provides self-guided training. Another DVD is used in meetings to illustrate and reinforce important points. SMART offers separate InsideOut programs for male and female inmates. 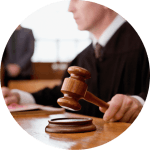 Since implementing InsideOut, we have found that the meetings and program are very helpful for those with longer sentences and more entrenched criminal attitudes and behaviors. Each meeting runs 90 minutes and includes written material, homework, and group conversations. Group members take turns reading some of the handbook content, which we then relate to participants. Like a good SMART meeting, our group runs best when we (myself and a counselor trainee) just guide the conversation and the group members confront each other, support each other, and ask if they can get out early for doing such good work. Having done most of my clinical work alone, I want to say that having a co-facilitator is extremely helpful. Having two of us in there (one man, one woman) makes the group feel safer, and clients are more likely to identify with the staff members. We also model respectful interaction and collaboration. One rule we started early was that anyone who wants to complain about a policy has to first do an ABC on it. (The ABCs of Rational-Emotive Behavioral Therapy is one of the SMART Recovery tools used to overcome irrational beliefs.) Not only did this policy reduce the complaints about food and rules, but it also encouraged group members to use the tools. For another group of inmates, I selected a briefer curriculum that I also recommend. 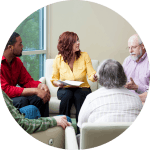 Mindfulness-Based Relapse Prevention (MBRP) is an 8-week program with heavy emphasis on skill practice during and between meetings. We even received special permission to burn incense in the facility for this group. Those familiar with the roots of therapy, both secular and spiritual, will appreciate the creation of a sacred/healing space through this ritual. Since MBRP is only 8 weeks long, it is a closed group where everyone starts and finishes simultaneously. There are a few people who attend both groups when an assessment indicates both would be helpful. With two cycles of InsideOut and six of MBRP per year, we can accommodate up to 96 diverse clientele with multiple needs, and both programs have been well accepted. The facility director says he has noticed a positive change in the atmosphere since implementing them, along with several MRT-based interventions for parenting, anger and re-entry from prison. Having treatment in-house increases attendance, increases supportive conversations among clients and teaches new skills that reduce recidivism and foster a more balanced lifestyle. 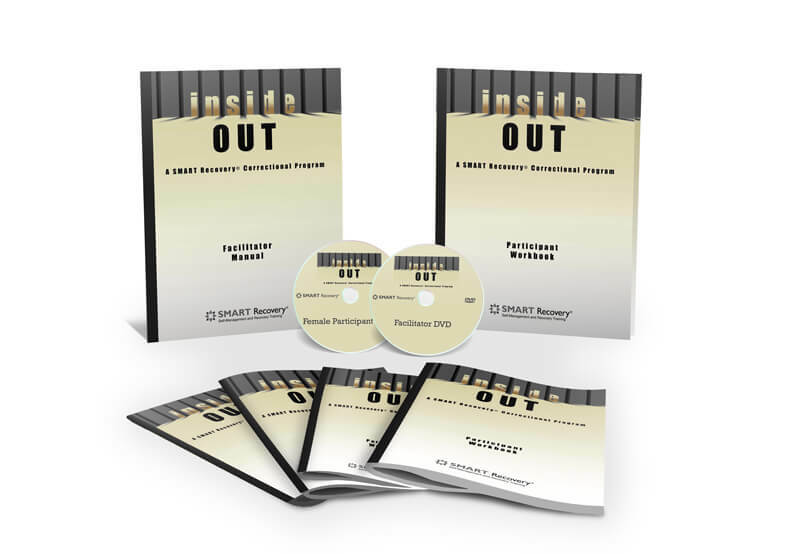 Learn more about SMART Recovery InsideOut! Do you know if this program is available in at the Arizona Dept. of Corrections prisons?